She put her hoof up as she took in deep breath and then let it out slowly. “Wait a moment.” She took in another breath and then her eyes widened. “Ouch. Oh…” She gasped as she looked at him nervously. She looked at him and slowly rubbed her belly as he looked at her for advice. “Tell the doctor? Take me to the hospital, tell my family and yours.” She smiled then clutched her stomach and let out a pained whimper. He nodded and swallowed hard. “Don’t remind me. I’m going to get you to the hospital.” He moved to her side and picked her up gently. “Don’t use magic Doxy. Please.” She said quickly. “What? How am I to get you to the hospital fast?” He asked with slight panic in his voice. He let out a sigh as he nodded. “Ok, I’ll fly you there, although I am a little rusty.” He walked to the door to the balcony off their bedroom and went out. Swallowing hard he spread his wings out, stretching them out fully and flapping them in the early morning. Silver squeaked and closed her eyes when he jumped up and took flight. This was the first time he ever flew while holding her and she could have sworn that he had never flown the whole time they ever dated; although he had mentioned several times that her mother made him fly laps as punishments for different things when he was younger. He flew up and held Silver to him gently but firmly. He wanted to be careful as he flew over a part of Everfree Forest and over his parent’s cottage. As he flew over their cottage he looked down to see if either one of them were outside. 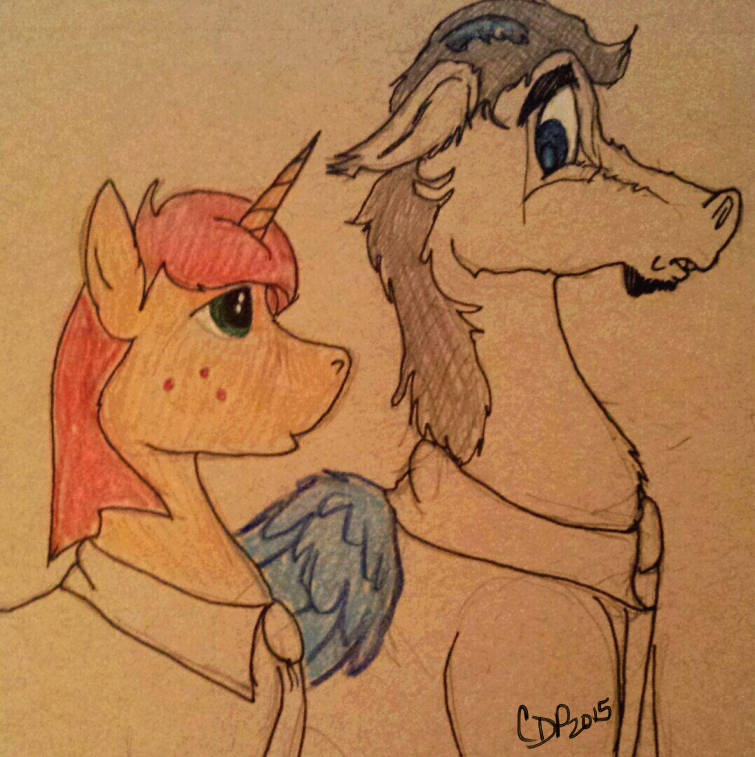 There wasn’t a sign of either one of them so he pumped his wings and flew towards Ponyville. Silver carefully opened her eyes and let out the breath she was holding in. She whimpered with the pain but she was also in awe on how well he flew. He held her protectively as he used heavy strong beats of his wings to move swiftly. They flew through the outskirts of Ponyville and Silver noticed that Paradox was starting to breathe heavily. He flew over Sweet Apple Acres as he scanned the orchard and suddenly noticed trees being shook to loosen apples. He flew for it. Silver didn’t know what he was doing since he took a slight detour into Sweet Apple Acres. “Doxy? What are you … Doing?” She gasped out as she was hit with another pain. “Don’t worry…” He panted as he answered her. 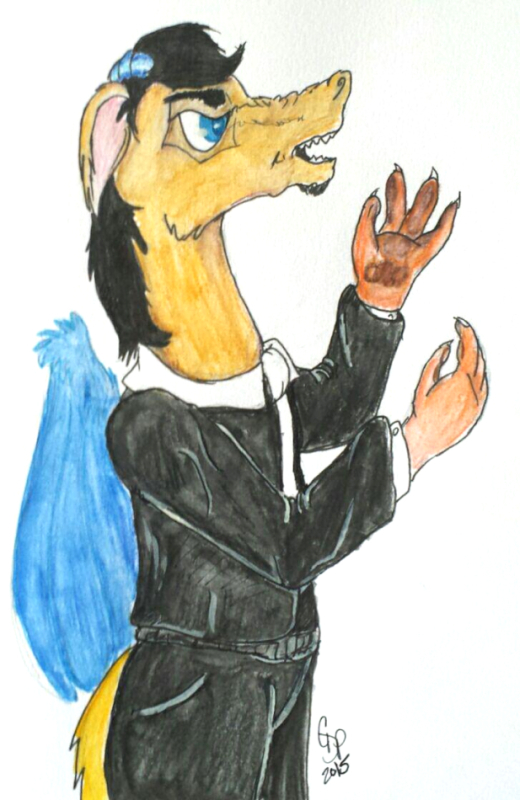 He suddenly reversed his forward movement to hover in place his wings beating hard and fast as he hovered over the trees being bucked and spotted Big Mac, Crispin Apple and Apple Jack. Big Mac, AJ and Crispin all looked up. “What the hay is going on?” Apple Jack demanded. Silver nodded and let out a slight cry of pain then composed herself. “I’m in labor and Doxy is taking me to the hospital tell every pony please.” She said. Big Mac ran forward just as Paradox turned and flew off with Silver. “Sorry…” He shouted back over his shoulder. “I got to get you there before I run out of breath.” He muttered. The nurses perked up and they helped Paradox by taking Silver into the back. He went with them his wings were feeling tired as they unfurled and dragged behind him. Silver Dash swallowed hard as she looked at Big Mac, her father. She remembered always visiting Sweet Apple Acres with her mother and playing with Crispin and being watched by Apple Bloom. She had been held a few times by Big Mac and she remembered him giving her a kiss or two on her forehead. She remembered that he’d smile at her whenever she accomplished something. “Hello um, Dad.” She whispered to him. She started to breathe heavy. “Yes, I can… do this. I can. Oh! I can’t! I’m scared.” She suddenly hugged Big Mac tightly. LillyRose and Zero walked up next. “You look beautiful.” Lilly complimented. Zero nodded. Scarlet Grace and her husband came up. “Whoa, hot.” Flight Strike said and got nudged by Scarlet Grace. “You look great.” He grinned. They all entered the throne room. Silver and Big Mac waited for their cue. Paradox was breathing heavily. “I don’t know if I can do this.” He said as he walked to his spot on the dais. “As well as you?” He asked. “Dad…” Paradox sighed and shook his head as Crispin looked shocked. 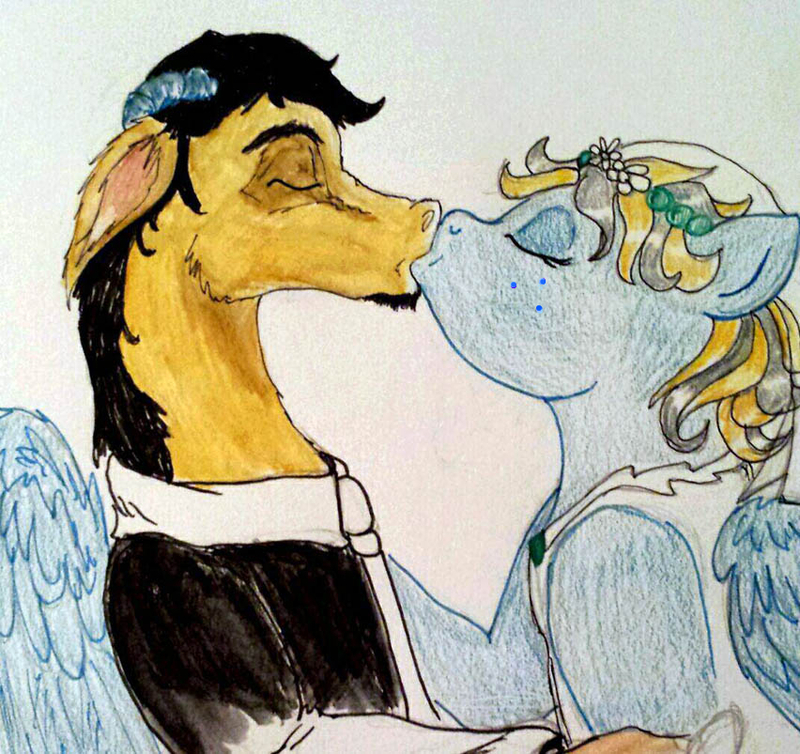 “I got your mind off of the wedding temporarily.” Discord said as he walked back to Fluttershy. “I gots to go and walk the maid of honor in. Yer gonna be alright Dox?” Crispin asked. With wide eyes Paradox nodded. 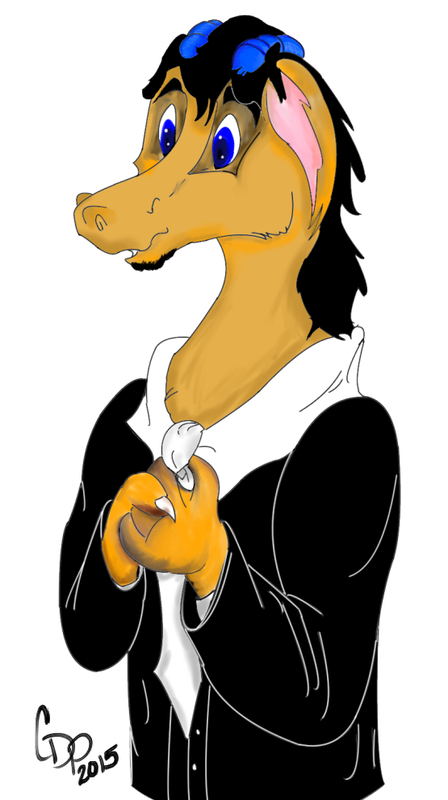 “Remember to breathe.” Discord said. “Discord, leave your son alone he’s fine.” Fluttershy whispered. Nearby three mares were watching the foals sleep, helping Fluttershy. “In here sir.” The guard opened a door and Big Mac walked in and stopped short when he saw Crispin and Paradox looking at him. “Howdy.” He said and quickly went to where the tuxedos were. Paradox followed him without saying anything as he scowled. “It seems the bride wants me to give her away.” He looked over at Paradox. 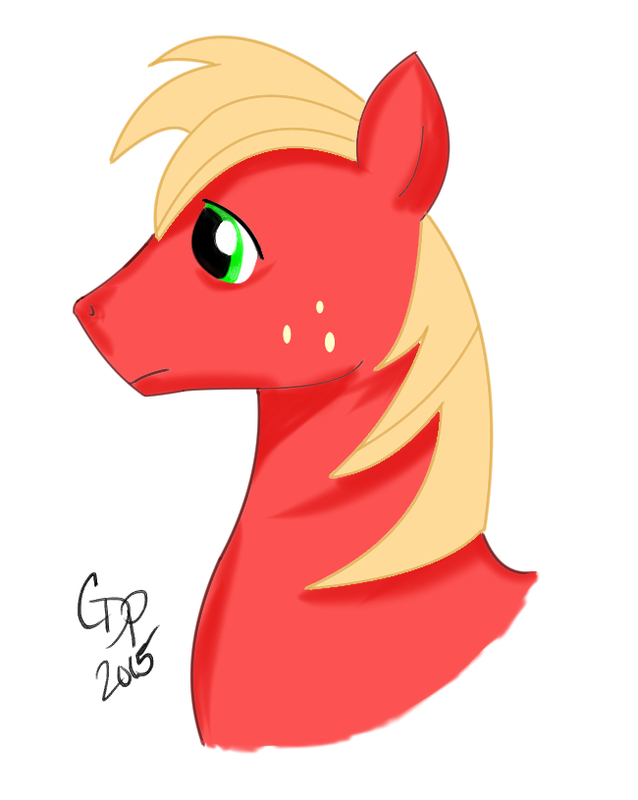 “Apple Bloom knew.” Big Mac answered. Discord suddenly appeared. “Big Mac! I knew you were her father! I won the bet!” There was a sudden shower of bits falling from the ceiling down on them. 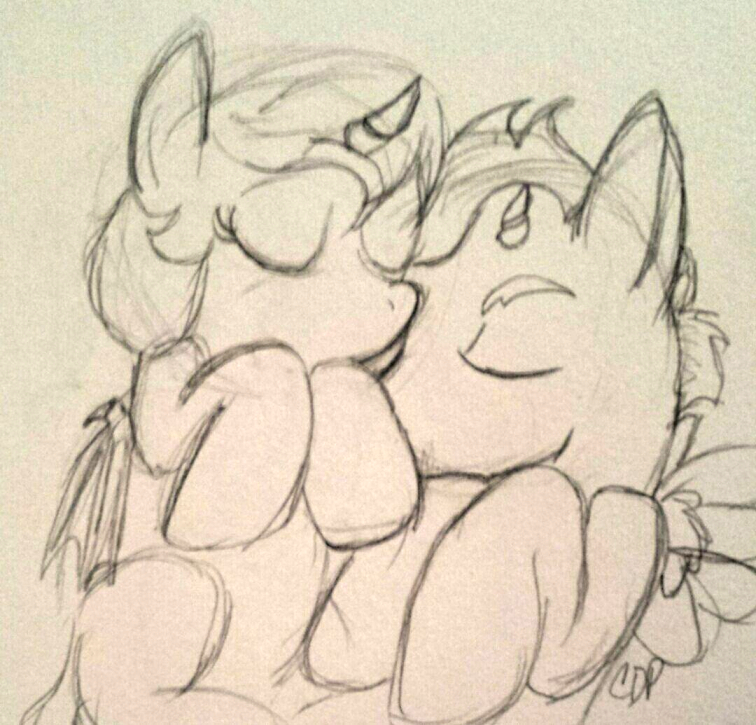 “It was the family resemblance right on those cute cheeks.” He pinched Big Mac’s cheeks. “Then ya’d know who my pa is?” Crispin asked suddenly. “Hey now!” Big Mac yelled. “Tut! 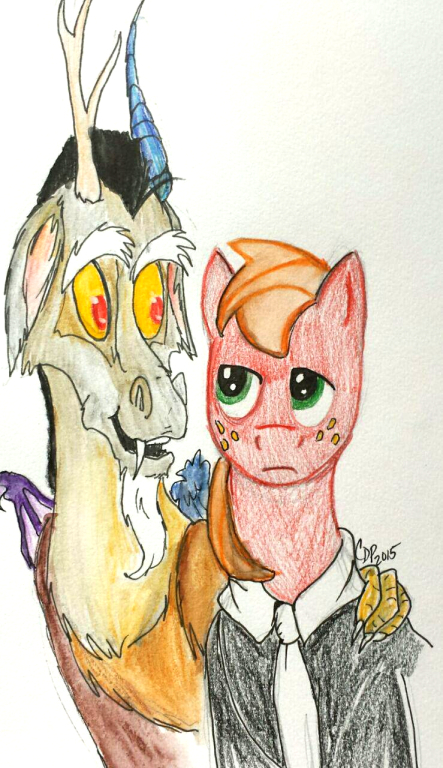 It’s ok Mac… Dox doesn’t know the whole story.” Discord patted Big Mac on his back. “Just get ready and everything will turn out for the best.” He snapped his fingers and disappeared. Twilight Sparkle was looking at the main ballroom, it was decorated immaculately. She glanced over and saw Princess Luna in her ceremonial dress and she was telling the guards where to stand. Twilight rearranged the chairs again. Making sure they were organized precisely where they should be. She saw the doors open and Pinkie Pie bounced in, followed by Apple Jack and Rarity. Twilight waved them over to her. “Darling this place looks absolutely divine.” Rarity beamed. Apple Jack was last to join them because she was talking to Apple Bloom and Big Mac and telling them where she was going to be sitting. She walked to Twilight and her other friends. “Crispin being part of the ceremony makes me feel so proud.” She said. “Actually, AJ, I’m glad that your brother is here.” Twilight spoke up. “Yer gonna have to explain this to me later Twi.” AJ muttered as she went over to her brother. “Um, yeah but why me?” He asked. He gulped as he followed the guard. Paradox stood looking at himself in the mirror. “I wonder what Silver is doing?” He adjusted his tie and looked at himself sideways. There was a knock on the door. Both Paradox and Crispin looked at it. “Come in.” Crispin spoke up. “My uncle? Why?” Crispin asked. “True, but I need to know why you are asking for Big Mac?” He asked as he placed his paw on one of Spike’s small wings. “Guess what? You will never guess in a thousand trillion years!” Sprinkle gasped out loudly. 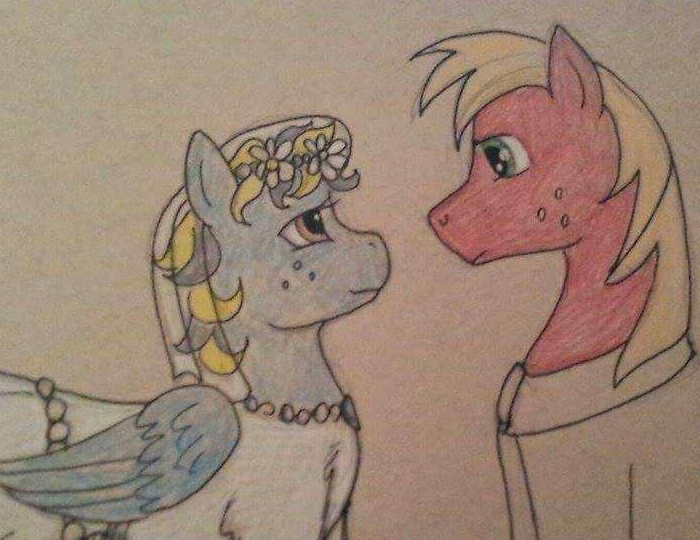 “Silver Dash asked you to be her maid of honor in her wedding.” Pinkie Pie guessed. “No! Umm… Yes… Mom… How did you know that?” Sprinkle still didn’t know how her mother had the strange ability to predict and guess things accurately. “Sprinkle… why didn’t you tell me that you liked him? I’m good at keeping secrets.” Pinkie Pie smiled.